The city of Kadrahlu buried beneath the sands. Only the shards of a single tower poke out above the surface. The Phoenix Tower – I love this as a way into a dungeon. You think you’re climbing down into a dungeon, but actually you’re starting at the very tip of a buried structure. When the players figure out what’s going on they get a proper sense of vertigo. Not all maps are entirely dungeon maps. This one is a map created by previous explorers of the water system, with specific dangers labelled and the magical gates and their destinations noted. The Forbidden Archive, on the other hand, is a classic dungeon. Runic circles, statues of dragons, puzzles and a disturbing giant skeleton locked (with treasure) behind a magical barrier. 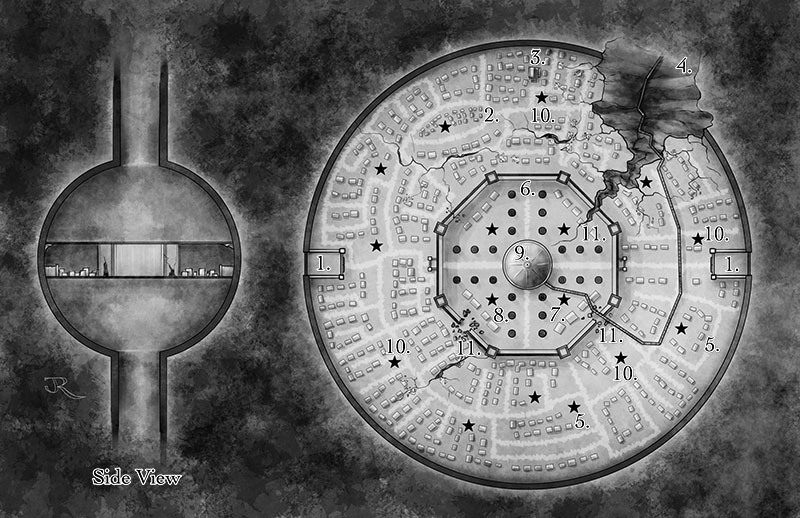 I even got to create a city map for the adventure with the city that sits at the heart of the fallen island. This is a great book which does what a good adventure should – allows the players the chance to explore a fun dungeon with challenging foes, and provides layers of mystery that they can peel back as they venture deeper. I can highly recommend picking up the Lost City – definitely worth checking out. Great work on these Jon. I was one of the patrons on this project and really appreciate your work. 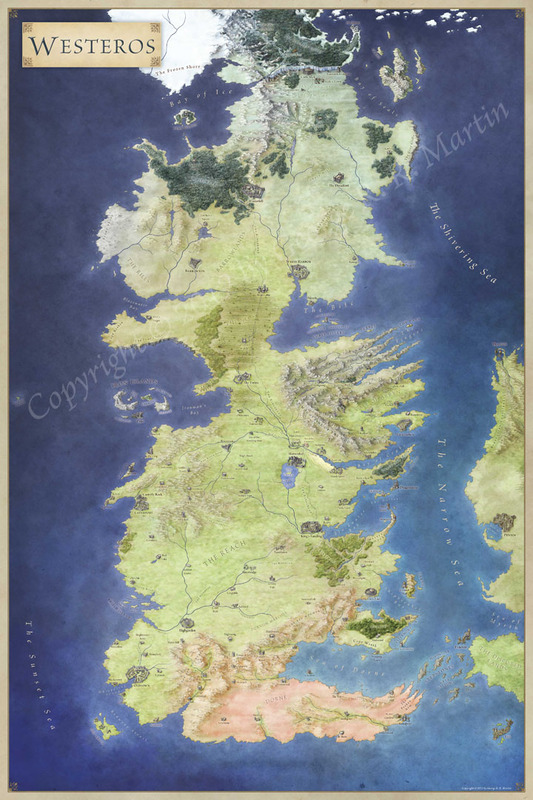 I’m curious-is it possible to buy all the maps from you in jpg/pdf format? I run my game online (using Fantasy Grounds 2) and the maps in the pdf adventure I got, are simply too small to be of use. Previous Previous post: More Free City Tiles!